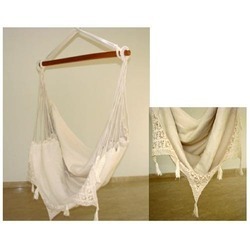 We are noted manufacturer, exporter and supplier of an effective range of Hammock Swing. Our provided swing is designed using excellent quality fabric with unique patterns, as per defined globally approved industry parameters. Moreover, our offered swing is highly demanded in the market, owing to its features like an immaculate finish, attractive designs and long-lasting shine. We offer this swing in different design that is sure to accentuate the backyard with tasteful color combinations. 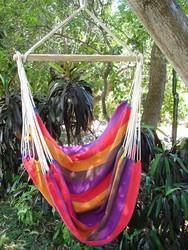 Looking for Faric Hammock Chair ?